He's one of the holdout deniers who gets his science information for right-wing political sites and conspiracy theory propagandists. I don't think he'll ever admit the truth because his political mindset and world view blocks any contradictory new information. 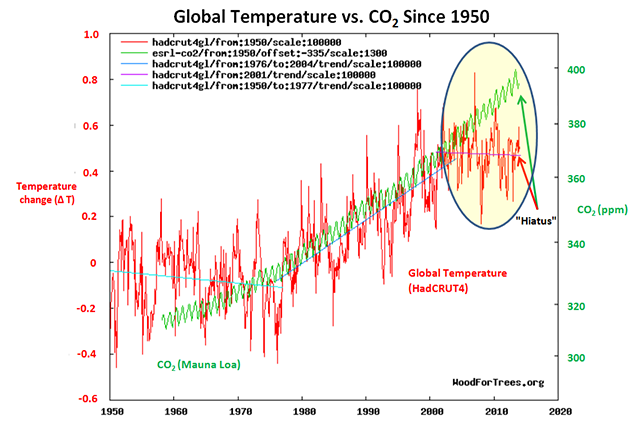 Where are you getting this graph of HADCrut data from, because it is not correct. The real data shows no "hiatus." ....but the cause and source of the increase is still very much in debate, as are its possible consequences. No, it isn't under debate. Period. End of story.